I called up the tower at Manston a little earlier to suggest that the Virgin aircraft doing circuits today moves out to sea a little further. You’ll see he’s a little closer to the garden tree at Westgate than I would normally expect unless it’s an optical illusion. However, he’s sticking firmly to his track. 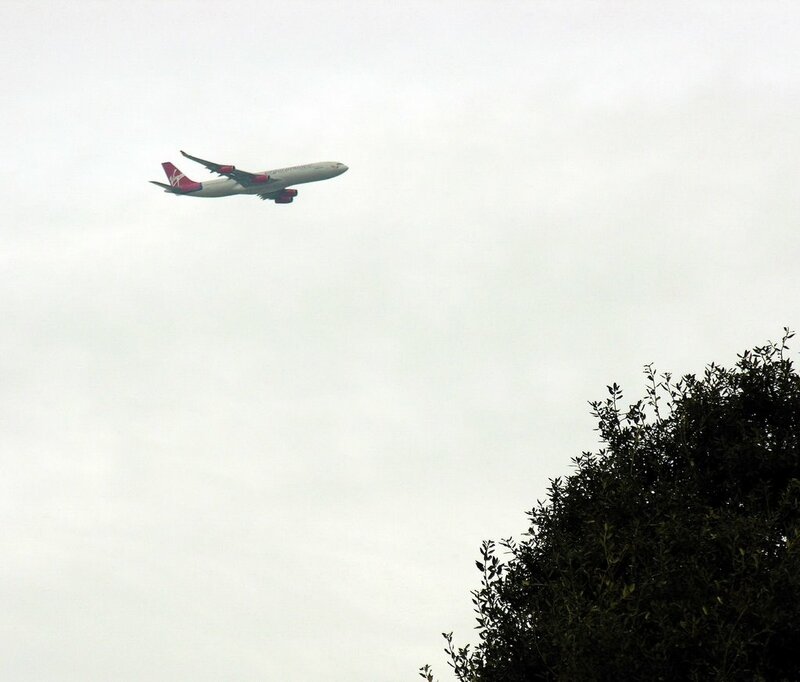 Instead of moving out he's come in closer, right over my house now, so much for asking I suppose! The noisy beggar kept skirting N Foreland on the inland side. Surely this is not necessary and half a mile N would be possible. I feel sorry for Ramsgate residents if he was doing approaches from the East! Consideration needed. Andy Pandy, dont upset the pilot. He's promised to take a picture of a field and the key-ring might be spotted. All in good time. Nice to hear someone having some consideration for us poors s*ds in Ramsgate. It was bl**dy unbearable all morning. Imagine that happening all night. Under TDC's current 'bend over backwards' policy it's perfectly feasible, as there's no restriction on night flights. See Cllr Green's lucid analysis of why the idea of making Manston the prime driver of the island's economy does not stack up (on his blog Eastcliff Matters - link on the right). Virgin... circuits and bumps... could they be intending to take Manston over? Thoroughly speculation on my behalf I know, but, it would be rather good to find out. I only heard/saw it once, must have been one of the queiter ones! My my.. that would be good for Thanet, possibly the best thing since the Royal Ships Daffodil/Sovereign/Queen of the Channel used to stop here!! Unbearable all morning??? 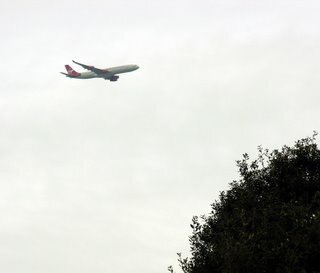 Rubbish, lorries going by make more noise, and yes I do live under the flight path in Ramsgate. Keep on coming Virgin, it's all business for the airport. I work in Westbrook and saw it quite low and just off the coast- but couldn't hear it, it would be great if Virgin used Manston, last weeks news about some flights to Virginia didn't sound like a successful idea to me. More like a Virgin aircraft doing training circuits for a new pilot on the Manston runway.. (normal procedure) hence the straying closer inland than usual perspective on the approach that captured my interest. It would be great if Virgin came here but I think it's unlikely. Hope I'm wrong!